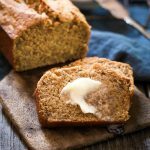 Better For You Banana Bread Recipe uses smarter ingredients so you can still have a slice with breakfast or a snack without all of the guilt. 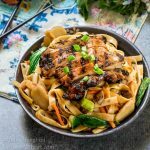 In my quest to eat better, I’ve learned that there are simple hacks that you can use to take an existing recipe and make it a little better for you. This Better For You Banana Bread recipe is one of those recipes. I originally created this recipe when I was in my quest to lose 45 pounds. What I did was to count calories and to write everything down before I ate it. I used a calorie calculator to make a lot of these recipes. In addition to calories, I’m a nutritional label reader. Buying a product that looks good for you can really be deceiving when you think the product is one serving only to find out it’s for 2 or 3. 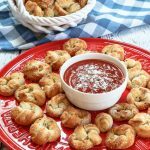 I created this recipe using a recipe calculator quite some time ago. My previous recipe used a sugar substitute. While there isn’t any proof that it’s harmful and heck, the package says it’s actually natural sugar, I still have my doubts. Enough doubts that I didn’t want it here on Hostess At Heart or on my table. This recipe is a remake. It doesn’t contain oil, uses some whole grain wheat flour, a minimal amount of raw sugar, and only egg whites. While not perfect, it’s a delicious recipe that I don’t feel guilty putting on my table. 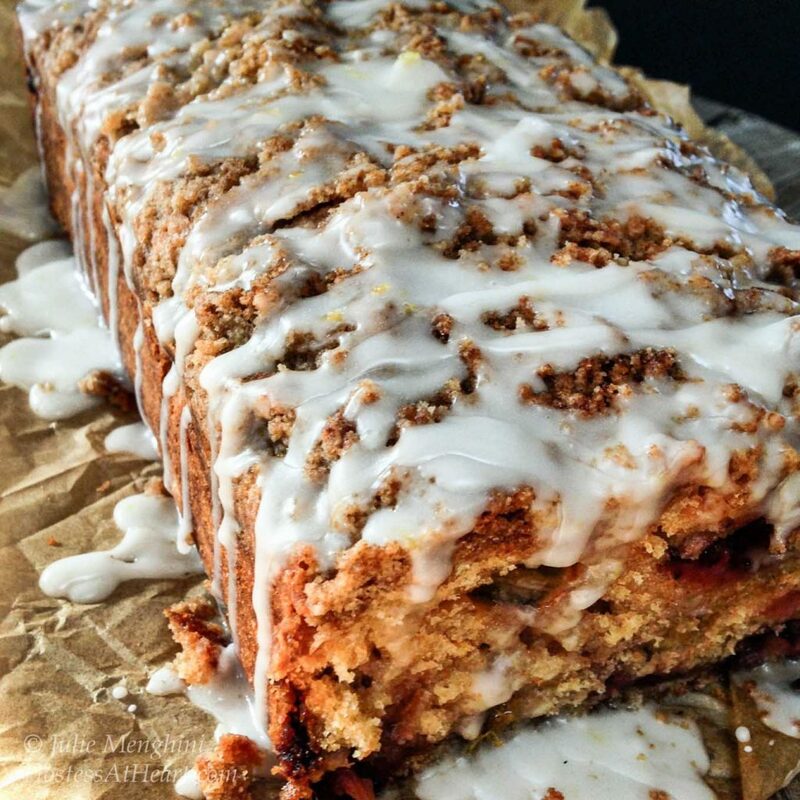 This recipe can be made into one large loaf. However, we like the mini loaves. I can freeze what I’m not going to use right away. Not only that, I can cut a mini loaf into 6 nice pieces. I wouldn’t cut a large loaf into 18 slices so this is a portion control for me too. The recipe that follows is for 18 servings which are how many we get out of 3 mini loaves. 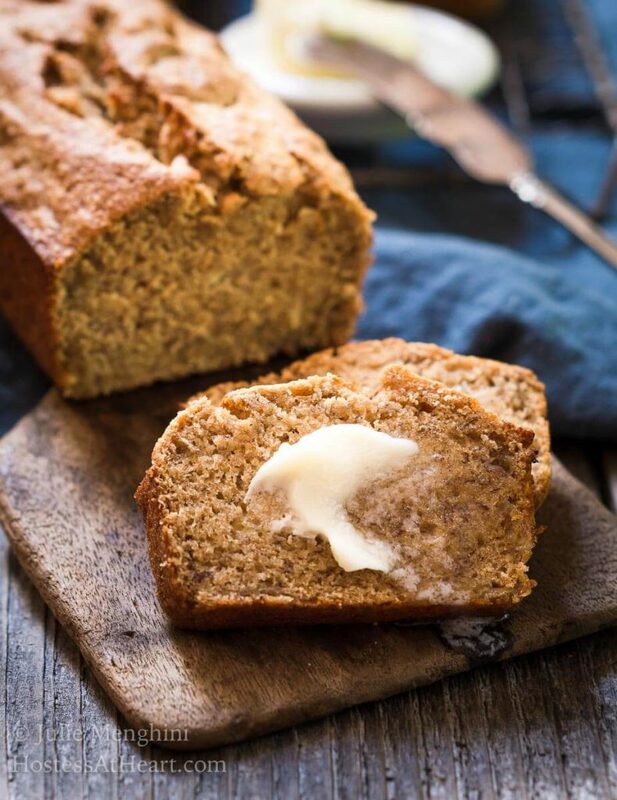 Better For You Banana Bread isn't a diet food, but has better ingredients while still tasting as decadent as the bread that's full of fats and sugar. Preheat oven to 350°F. And spray either 1 loaf pan or 3 mini loaf pans with the non-stick method of your choice. In a large bowl, combine mashed bananas, applesauce, sugar, vanilla, egg whites, and cinnamon. In a medium bowl, combine flours, salt, baking powder and baking soda. Whisk together. Pour into a bread pan that has been sprayed with cooking spray. Bake mini loaves 27 to 30 minutes or one large loaf 40-45 minutes or until a toothpick inserted comes out clean. 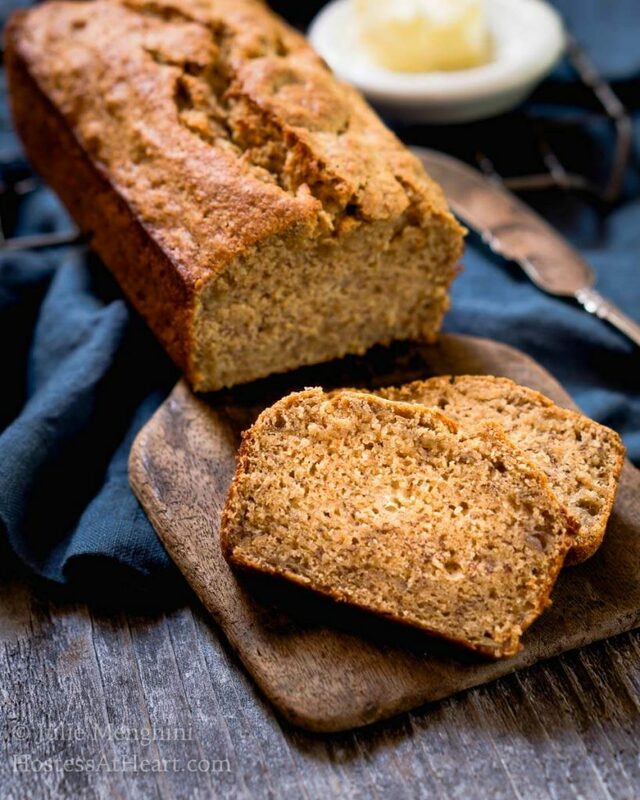 This banana bread is so quick and easy to make. Once cooled I put it in a resealable bag or airtight container and think it’s even better the next day. It is moist, not too dense, and delicious. I hope you will give it a try and let me know what you think. Tip: I always have frozen bananas in my freezer. I just throw them in peel and all. When I need them I let them sit a bit to thaw and then peel them. The peel isn’t beautiful but the banana is perfect for bread or smoothies. There is never a reason for letting bananas go bad. 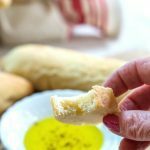 If you like baking bread as much as I do, here are a couple more of my favorites! I love banana bread. All the time! I’m with you Liz! I have some getting ready for a new batch! I love the sound of that Lynn! I need to be counting calories, too! This looks like the perfect way to start. Congrats on all that hard work Julie. I need to convince myself I can do it, too! Thank you Abbe! That’s the hardest part indeed. Sounds good! Love the low calories. Thank you, Christine! Me too! this recipe really makes me smile. my grandma Hyde made banana bread for my dad all the time. 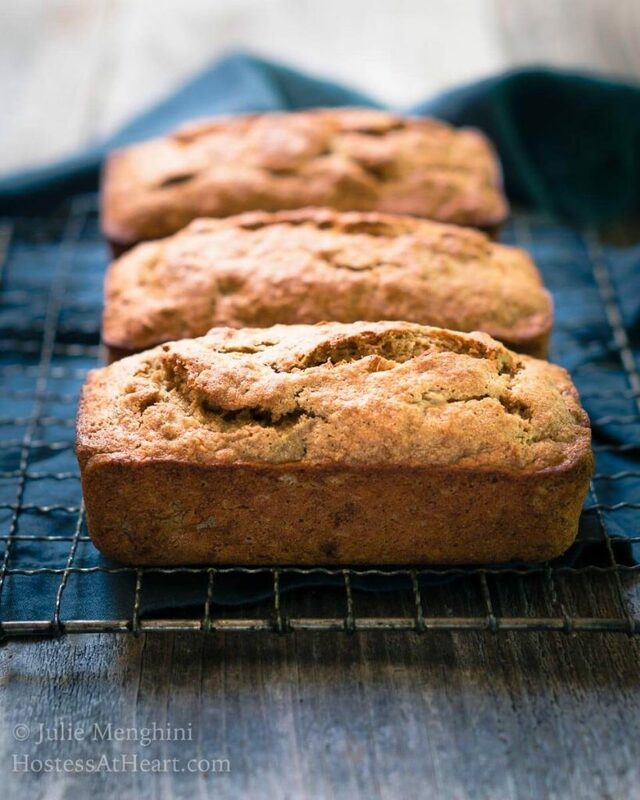 I hated bananas as a kid and wasn’t until recently that I tried banana bread and realized I had been missing out. I don’t have a copy of hers )well, because I was ridiculous and HATED bananas,) so Im going to make yours and pretend that I was smarter back then! Ha! I think I ate everything except liver as a kid. John, on the other hand, has been adding to his no-longer dislike list too. These loaves are so easy to make. I think I made 9 the day I made these. 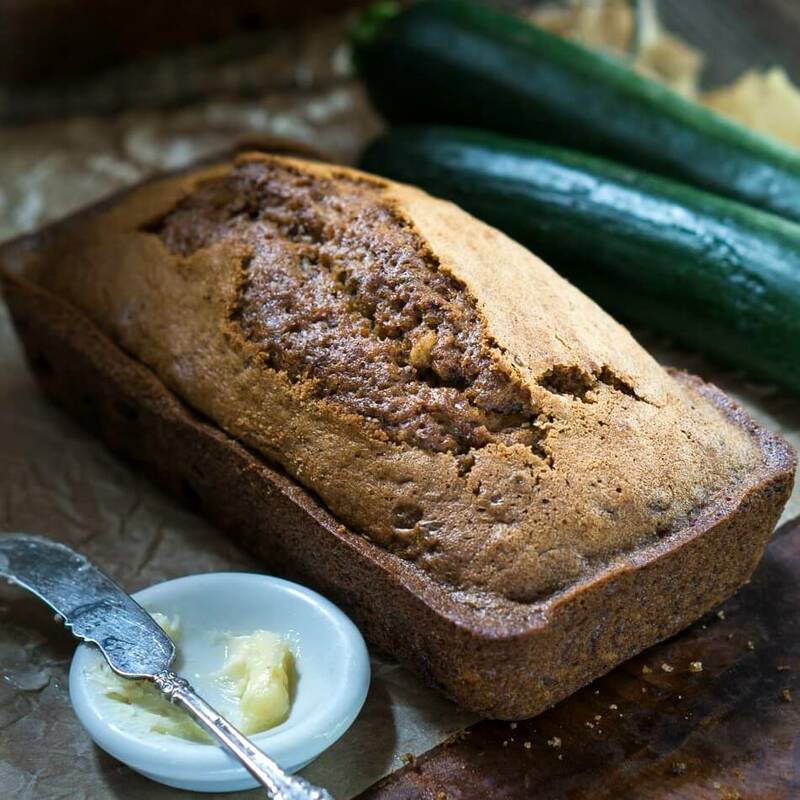 Oh, Julie, the bread looks so scrumptious, and the good news is that it is a low calorie banana bread! I guess the apple sauce is a good substitute for butter or oil! Less fats, but looks moist and tasty! Pinning to try later! Thank you for sharing, Julie! 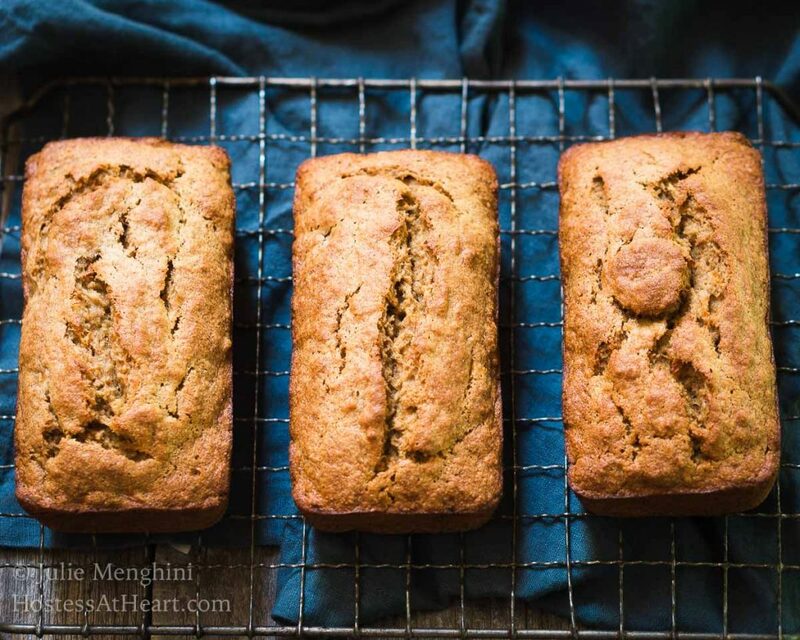 Why do I never have overripe bananas when I need them? This bread looks wonderful! 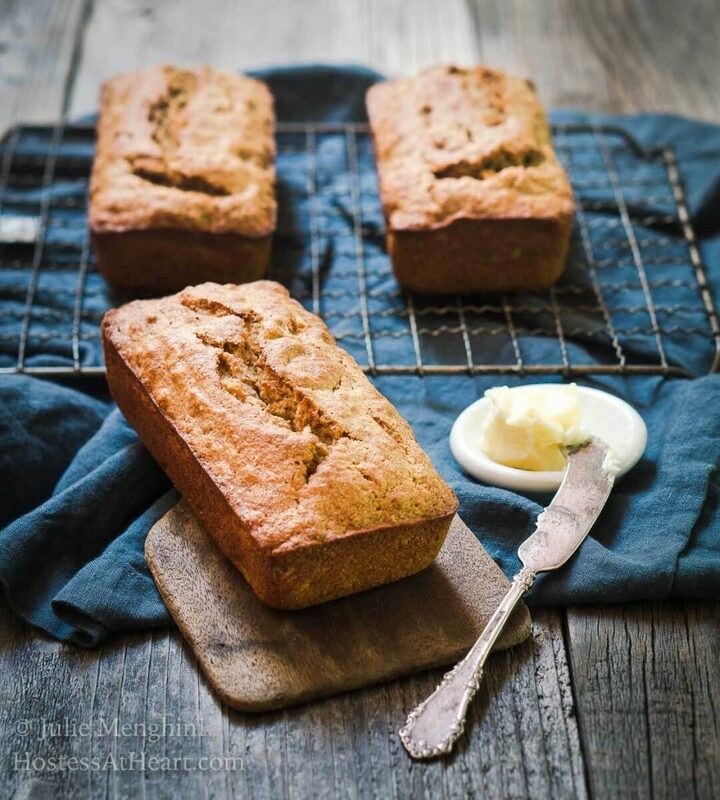 Quick breads are my weakness so a healthier version is always welcome in my house :). Hope you’re having a great week, Julie! I need to make more “better for you” recipes especially something like banana bread. I too am struggling with weight – hard to control when I like to eat and blog 🙂 Then of course I am not gardening like I did on my 1 acre so I need to replace it with something! We are in the same boat! Since my hip surgery I don’t workout as hard and know I’m not in as good a shape as I was then too. I definitely need to be more mindful especially with fall rolling in already. Thank you for sharing your inspiring story Julie. It’s all about mindfulness isn’t? Easier said than done however, especially for those of us who love to cook and enjoy good food! If it was easy, Johanne, none of us would have to work so hard right? I do love good food too much! Great recipe and tips for portion control Julie. How close are you to your goal and how long have you been working on it? I need to set the same goal! So hard blogging about food! I lost all of my weight in 2013. It took 6 months of calorie counting and exercising every day. I’ve done a pretty good job keeping it off until recently. I’ve been making some poor choices and put on 8 pounds. I know me and 8 will soon be 10 if I don’t get mindful soon. It is so hard when you are a food blogger, and the holidays will be here too soon. That’s such a simple recipe Julie!! No butter makes it extra good! Thank you Sonal! I actually don’t even eat it with butter. You are right, it doesn’t need it. I’ve got to make those brownies. We had unexpected guests and I bought some store bought brownies. They were fine but I threw them out as soon as the company left so WE wouldn’t eat them. John is still in mourning LOL! I love a great dessert but not one that is so full of sugar and fat that it makes you feel sick! I’ve loved some of the beautiful treats you’ve featured and pinned them too. Hi Julie, have you ever made it entirely with whole wheat or even sprouted wheat flour? 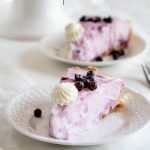 I am having surgery the end of this month and looking for recipes, such as this one, that I can prepare and freeze ahead. I want to keep the calories down and nutrition up, love the low sugar and oil in your recipe. I will be on pain medications for a short while and will need something quick and filling in the morning so my stomach is not upset. This looks perfect. Oh, Liz, I wish you the best regarding your surgery! I tried this recipe with 1 cup of wheat flour and 1/2 cup ap flour and felt that it was drier and had more of a rubbery consistency. The equal amounts worked the best. I really wished it wasn’t so but I don’t think it will be nearly as good.